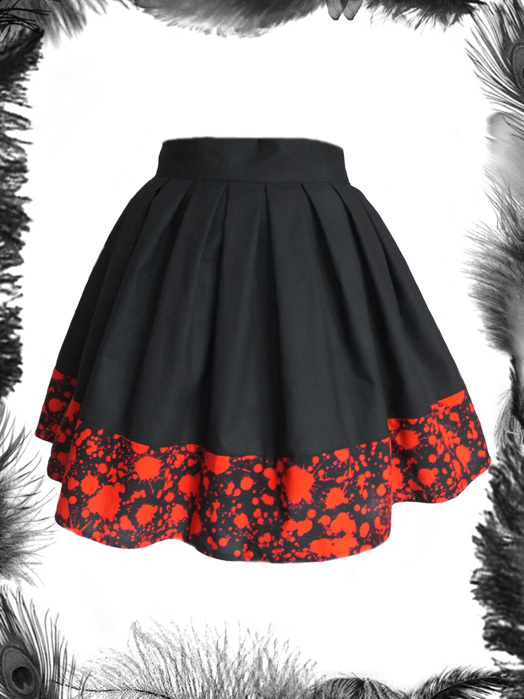 Box Pleat Skater Skirt with blood spatter Print Trim. Ensure to check your waist measurement before ordering as the fabric has no stretch. Advised to order a waist size with some ease - 1 inch larger than waist measurement.